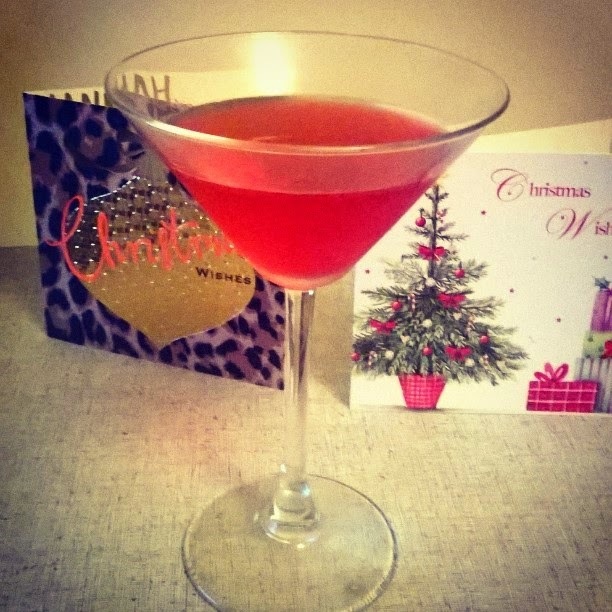 Even though my bar-tending days are behind me I still love mixing up alcoholic concoctions, and Christmas is the perfect time to get experimenting - you'll have lots of willing test subjects too! I've always been a fan of the classic gin martini. I love the balance of flavours plus the punch of the alcohol. But, I've never been very keen on vodka - any vodka, its just not my bag. That is until I discovered the art of making my own flavoured vodkas. With this I have transformed what I see as liquefied hair spray into delicious beverages and bases for many a cocktail. In a large saucepan combine the sugar, the cranberries and the water together. Sprinkle in the spices and stir through. Leave on a low to medium heat and occasionally stir to make sure its not sticking to the bottle of the pan. Once most of the berries have split your syrup is ready. Take it off the heat and leave to cool slightly but not completely as it will be too thick. In a large airtight container pour all the vodka and syrup mixture, and stir together. Leave in a cool, dark place for 7-10 days. Stir once a day or when necessary to shake up the sediment. Strain into a bowl/large jug. I found that I could still get more juice from the berries so I gave them a little mash and pushed the liquid through the sieve. Pour into a sterilised bottle (I saved the Absolut bottle and just washed out with boiling water). The vodka should be sweet enough from the syrup to just serve over ice, but if not add a splash of lemonade or tonic water. Strain through a fine strainer or sieve into a traditional martini glass or coupette. Optional garnish of a slither of orange peel to really boost the Christmas scents.